In honour of Slow Meat Canada, Slow Food Saskatoon invited fifteen guests to Harry and Kathe Harder’s sheep farm on October 29 to take part in a whole animal butchery demonstration and dinner. 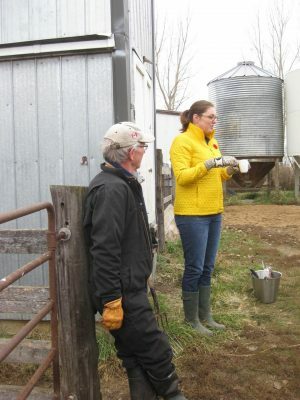 Steering committee member Evelyn Reisner offered guests a warm drink to ward off the chill weather while Harry introduced the group to his sheep herd, spoke of his farmgate approach to animal sales, and selected a sheep for the day’s slaughter, to which the group bore witness. Harry then walked the group through the process of skinning and gutting the carcass, answering questions along the way. 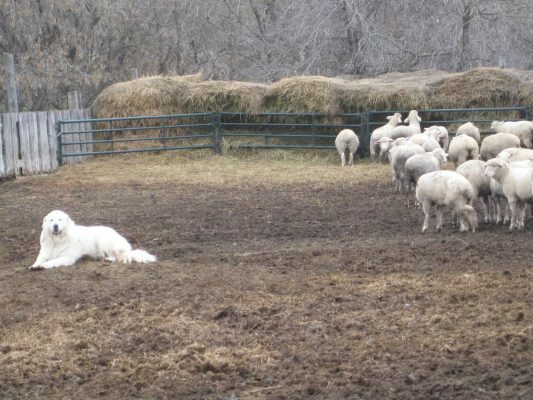 Harry provides lamb for several cultural groups in Saskatoon, so he shared some of the uses for the more undervalued parts of the animal, such as the spleen, which he has learned from other cultures. The group then moved indoors for a meat-cutting demonstration. Harry cut a chilled lamb carcass to order for two of our guests to take home with them at the end of the day, talking the guests through the various cuts and the options they could choose from. The day wrapped up with a meal prepared by Slow Food steering committee members Evelyn Reisner, Noelle Chorney, dee Hobsbawn-Smith, Michael Beaulé and Carole Gallagher. The team had prepared two kinds of lamb sausage, braised lamb neck and shanks, marinated lamb chops, a fresh salad, warm potato salad, peach pie and Greek honey-chèvre cookies. dee Hobsbawn-Smith prepared a take-home lamb cookbook as a bonus for all guests who attended, which included several local chefs.